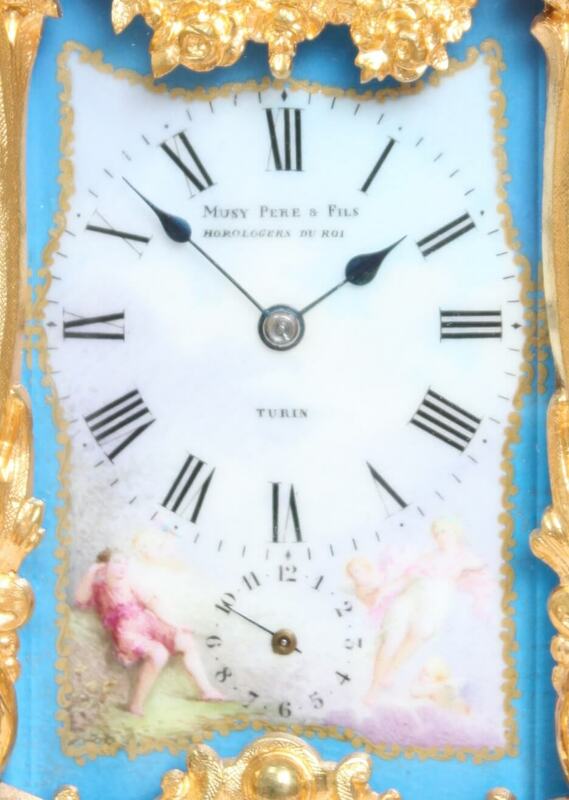 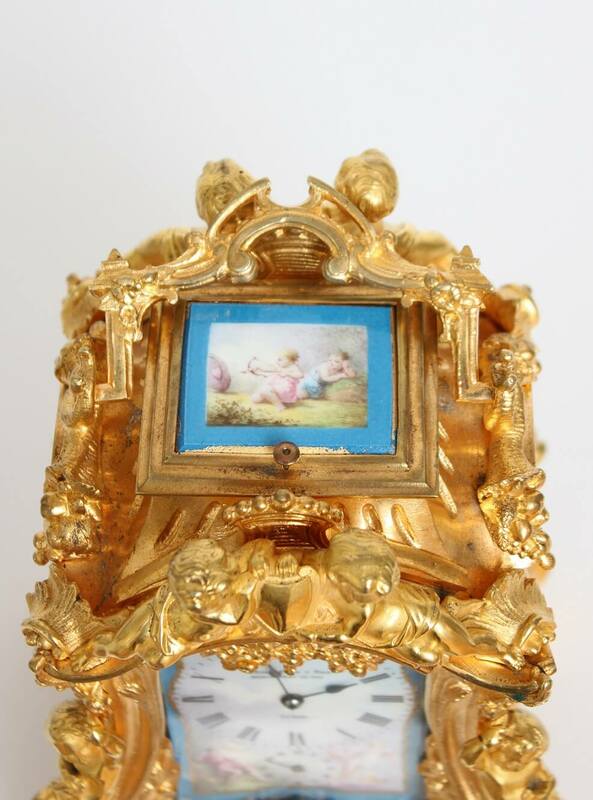 7-cm polychrome porcelain dial with Roman numerals signed Musy Pere & Fils Horlogers du Roi Turin, alarm subsidiary below flanked by two ladies surrounded by putti and clouds above set in a gilt and blue border, 8-day movement with platform lever escapement marked for Drocourt, rack half hour striking on a gong, hour repetition on demand, alarm, finely cast and chiseled gilt bronze case adorned throughout with flowers and scrolls and inset with similar porcelain panels, putti on the shaped cornice and on the canted scolled corners terminating in scroll feet. 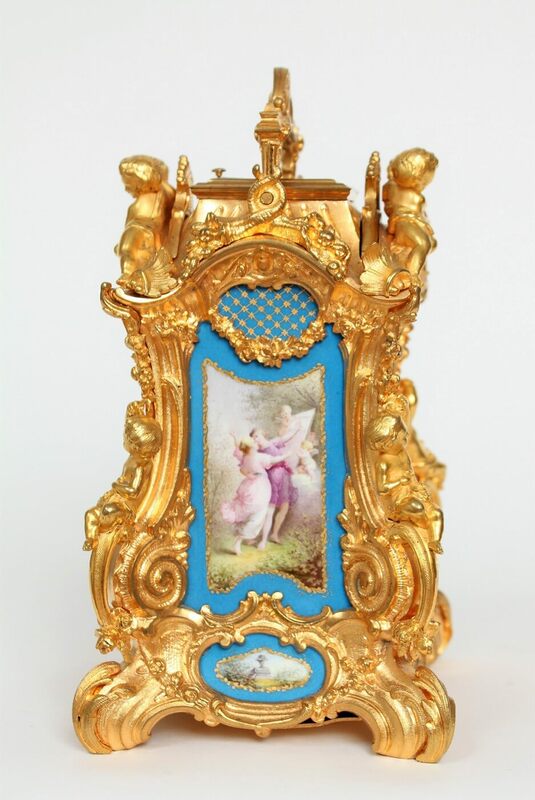 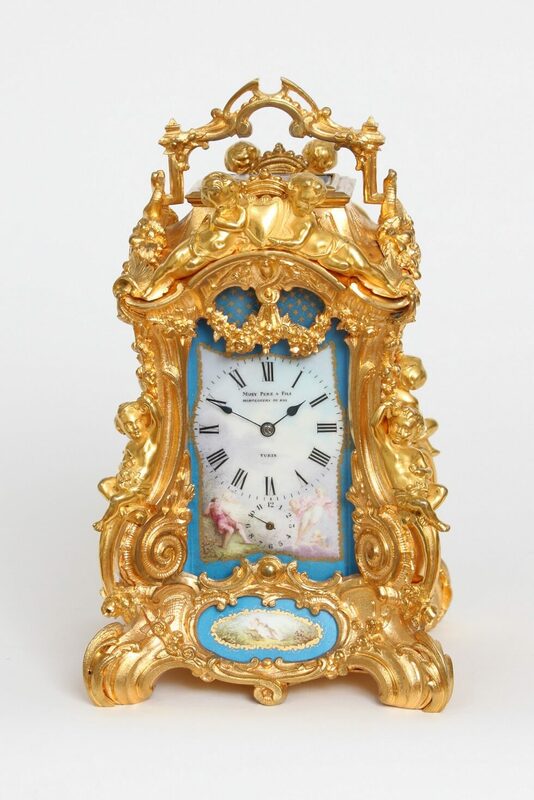 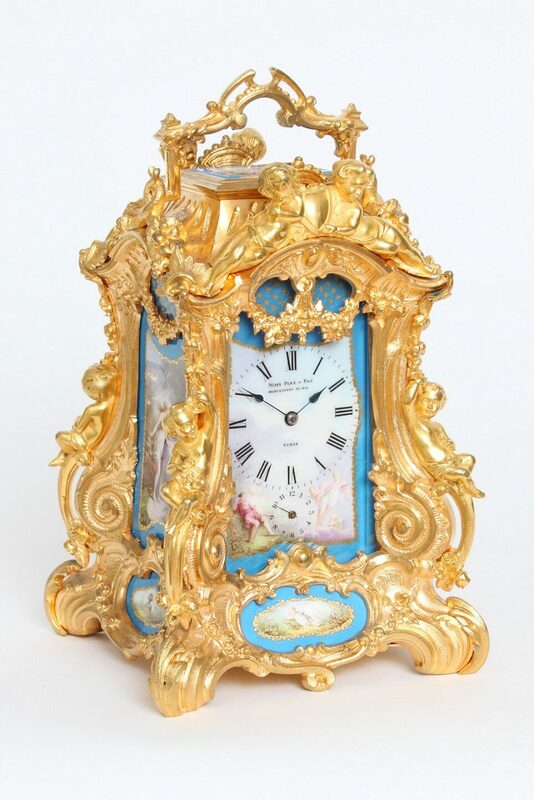 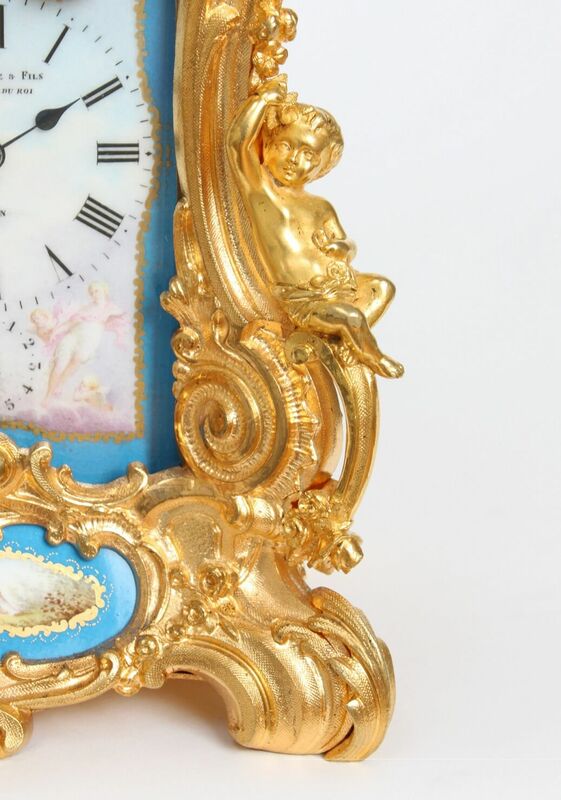 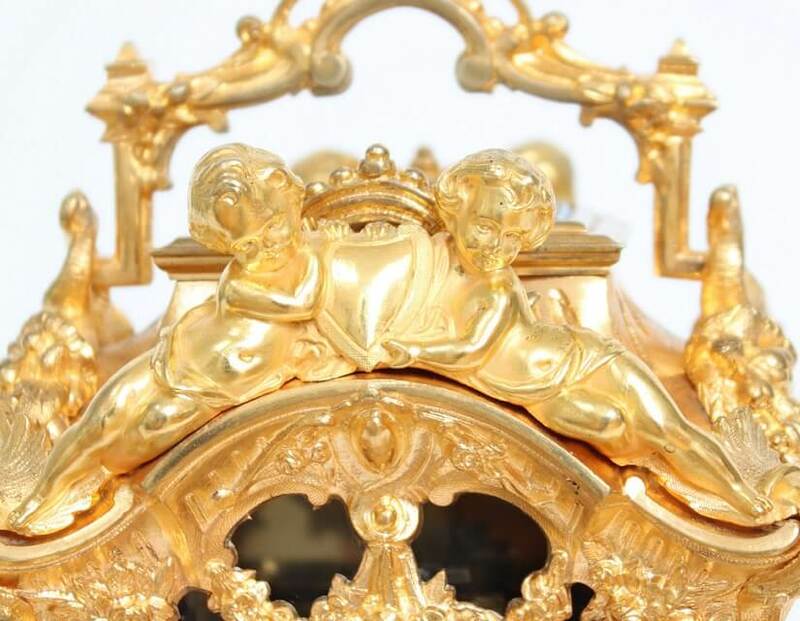 The carriage clocks of Pierre and his son Alfred Drocourt are liked by collectors and dealers alike because of their quality movements and finely finished cases. 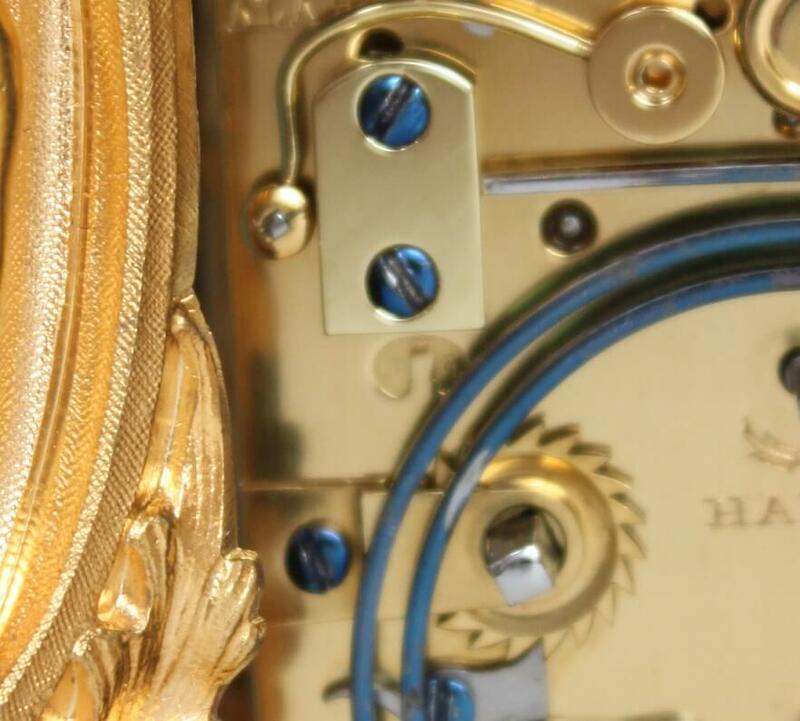 Their clocks can be identified by their oval mark in which a carriage clock is flanked by the capitals ‘D’ and ‘C”. 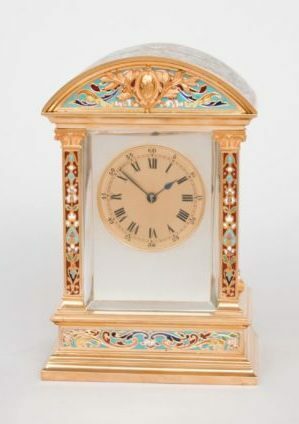 Probably from the end of the ’50 of the 19th Century Pierre worked from his shop in the Rue Limoges in Paris until about 1870. 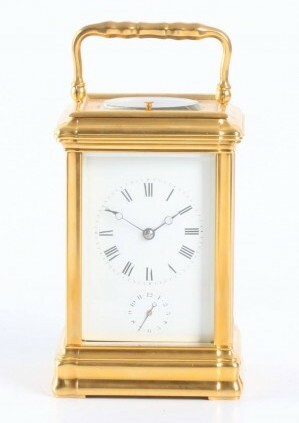 From that time on he worked together with his son Alfred in the Rue Debelleyme. 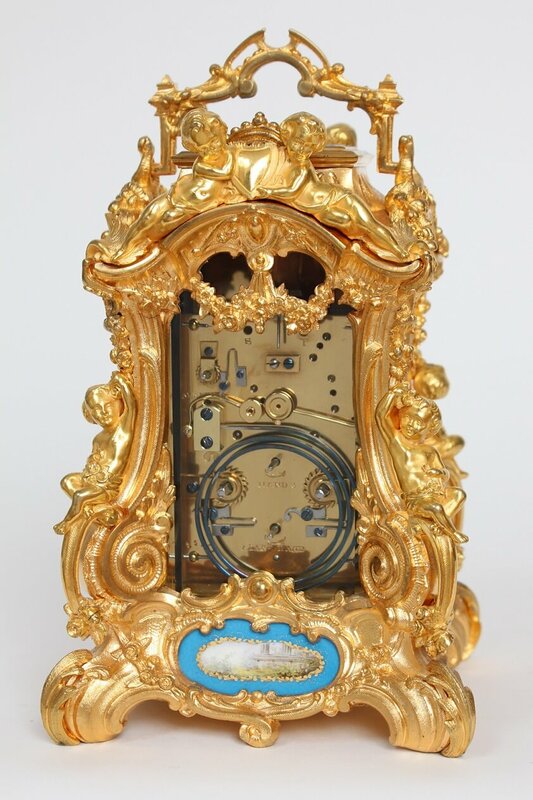 His son also opened a workshop in Saint-Nicolas d’Alliermont in the 1880’s as some other producers of carriage clocks did. 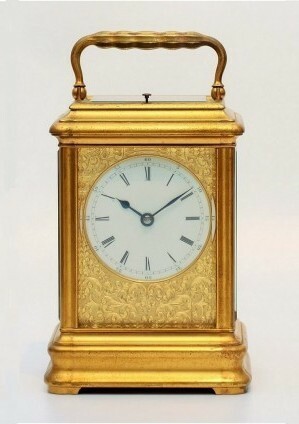 Together they won many awards at the great exhibitions.